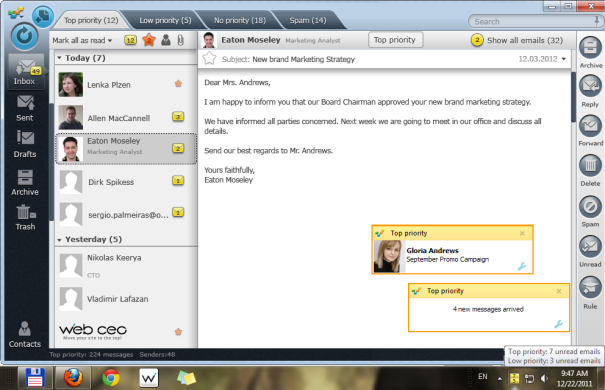 The EmailTray email client for Windows is easy to set up. You need just click once to install EmailTray. Install the EmailTray email client. Add your email accounts instantly. You just need to add the email address and password in most cases and nor further setup is needed. 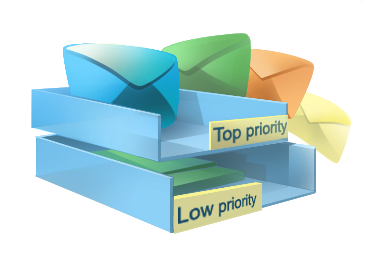 The EmailTray email client knows all the necessary settings of the popular email providers. Create full and shortened signatures to be added automatically in new emails and replies. Your full signature will be automatically added to all your new emails and the shortened one to your replies and forwards. The automatization saves you seconds, and a second saved is an hour earned. Turn off/on sound notifications quickly. You can find a sound notification icon in the bottom right corner. Just click it to turn all the EmailTray sound notifications off/on; there is no need to go to the settings if you need no sounds. Access the most important emails quickly. 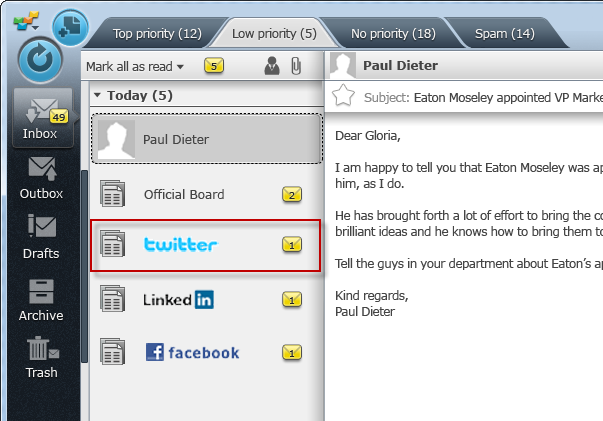 Click the EmailTray email client icon in the notification area and you will get to the latest unread important email. Mark spam in different ways. You can mark as spam a message, a sender or all messages from the domain at once. 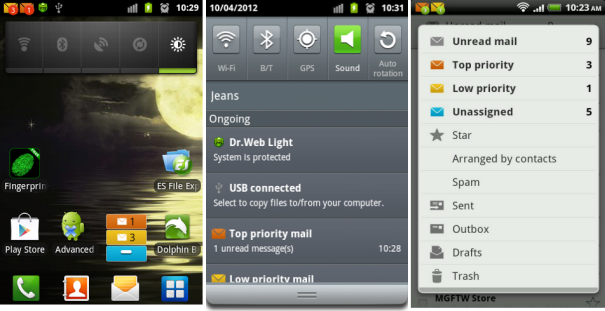 These flexible settings help to fight spam as smoothly as possible. Create specific rules. You may set a sender’s priority before you receive any email, you just need to know the sender’s name or keywords in the subject. Do this to be sure you read important emails even if the sender uses a new email address. Manage your subscriptions in a smart way. 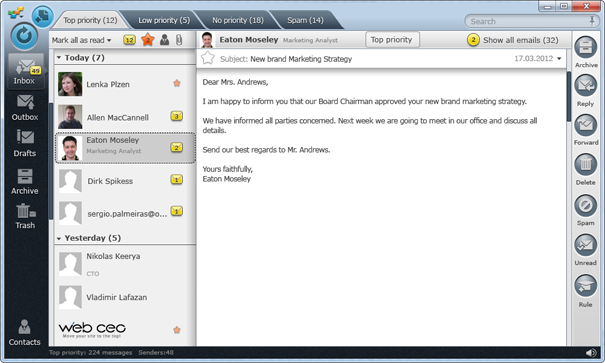 The EmailTray email client combines emails from different senders but sent to one subscription email address into one contact card and one thread. Names of the senders in these subscription threads are highlighted so you will easily find a message you need. And there are even more things to make your subscription management easy: you may create rules and mark special senders with different colors. 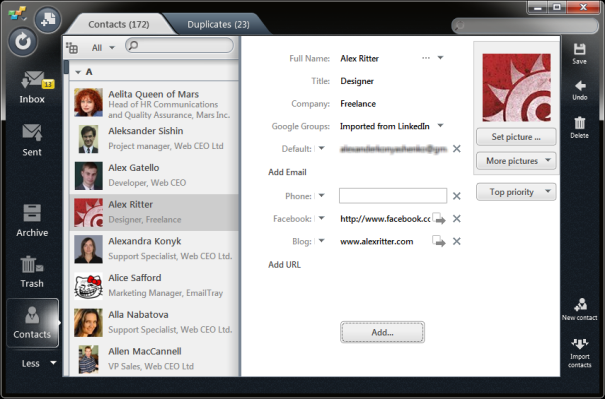 Add all of one sender’s email addresses into one contact card. It doesn’t matter what email address your sender uses, you will see the photo you chose for this sender anyway. 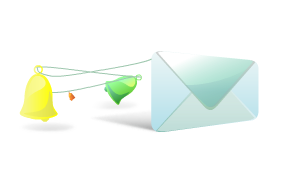 Are there any features you’d like to see in the EmailTray email client or Windows? Feel free to tell us in the comments or discuss your thoughts on our Facebook page. Most Webmail providers and Internet Service Providers offer a feature of email filtering which is executed right on their servers. That means that some emails initially routed to your Inbox will be rejected at the server level. This is point #1 where the emails get sifted and some of them land in a Spam folder. Further on, a built-in email filter used in your desktop email client or a separate email filtering program installed on your computer may screen incoming mail again. It will look for suspicious mail and put it in the Spam folder. This is point #2 where incoming mail is filtered again. As a result, an end user receives only part of the emails initially routed to their Inbox. Some emails are rejected on the server and some end up in the Spam folder of your favorite email client. The good news is that you can manually check what’s inside your email client’s Spam folder. The bad news is that email clients normally will not download the contents of the Spam folders of your tracked accounts. That’s really sad. 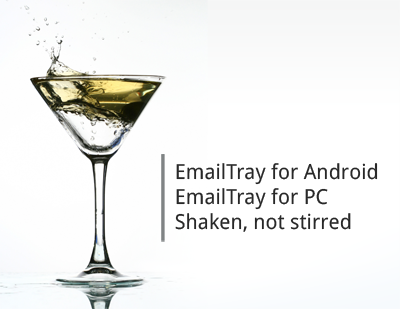 In other words, EmailTray processes emails just the other way round. Instead of taking suspicious mail away and leaving you face to face with all emails (both important and unimportant), EmailTray singles out important emails and lets you focus on them right away. Learn more why EmailTray is better than a regular email spam filter. With EmailTray, you no longer need to look through the contents of the Spam folders, searching for any lost important emails. You no longer need to sort emails in your Inbox. You can now get focused on the contents of the Top Priority and Low Priority tabs and stop stressing out over email overload. That’s easier than you could expect.